Extract Dyes are the most versatile and easiest natural dyes to use. They are concentrated extracts of natural dyes and all you need to do is to add water. 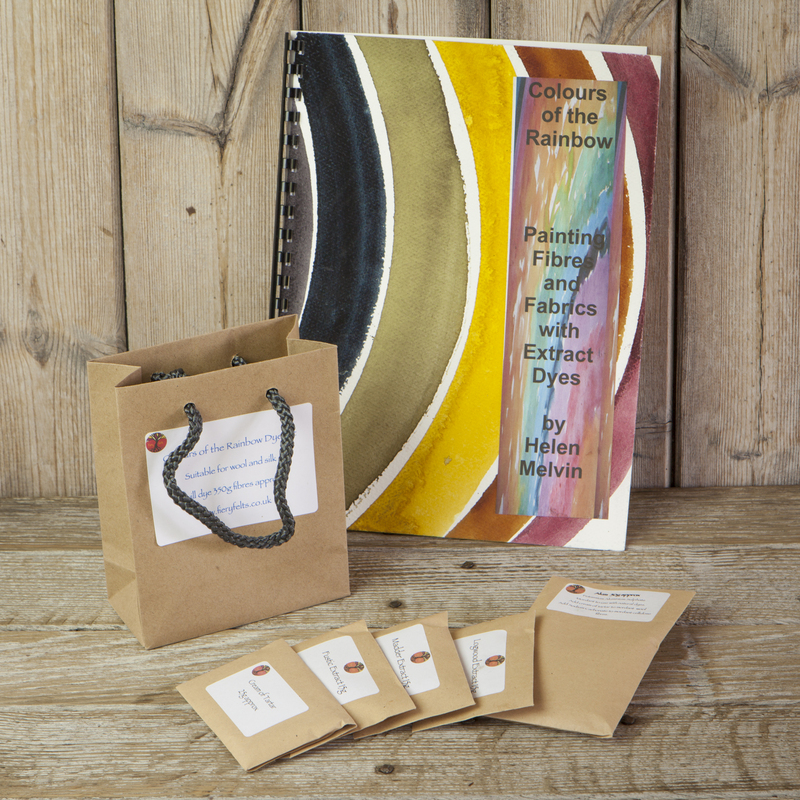 The included book covers a very wide variety of different way to use the exracts, from traditional immersion dyeing, painting rainbow yarns or fibres, to printing with thickened extacts (for which you also need Gum tragacanth). Dye extract dyes can be easily mixed to make a range of unique and original colours. These will mordant and dye between 300 & 450g of wool or silk. The book cover is hand-painted and may vary from image show. A4.